Strawberries can be grown anywhere in South Carolina. They are the first fruit to ripen in the spring and no other small fruit produces berries as soon after planting as strawberries. In proportion to the size of the plant, strawberries are very productive. If 25 plants are set in the garden, these original plants and the resulting runner plants would produce a total of 25 quarts. Strawberry growth is greatly affected by temperature and length of the daylight period. In new plantings, runner production occurs during the long days and warm temperatures of summer. In the short, cool days of fall, runnering stops and flower buds form within the plant crown, which is basically a compressed stem. The strawberry crown gives rise to leaves, runners and roots. The flower clusters that develop inside the upper portion of the strawberry crown in the fall emerge in early spring. 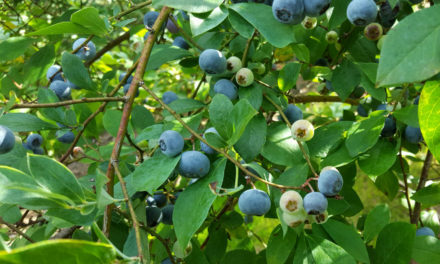 Berries begin to ripen four to five weeks after the first flowers open and continue to ripen for about three weeks. Toward the end of the harvest period when the days are long and warm, plants again grow runners that produce new plants. The performance of strawberry varieties can be affected by climate and soil type. Therefore, it is important to use the varieties best suited to your area. More adventuresome gardeners may wish to experiment with newer strawberry varieties from other areas. Keep in mind that it is very rare that a variety bred for the Mid-Atlantic, New England and Canada will be suitable for South Carolina. ‘Earliglow’ is an unusual strawberry because of its wide adaptation throughout the northern United States, Virginia, Piedmont and Western North Carolina, and the upper parts of South Carolina. ‘Earliglow’ is also resistant to red stele. No chemical controls are recommended for the home gardener for the control of this root disease. Planting a variety resistant to red stele is the safest and most effective means of dealing with this problem. June-Bearing Type: The main type of strawberry suited for South Carolina gardens is called a June-bearer. The name June-bearer is somewhat confusing since these varieties bear most of their crop in May. June-bearers produce a single crop in the spring. 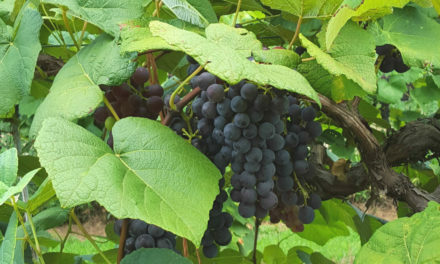 Ever-Bearing Type: There are ‘everbearing’ or ‘day-neutral’ types which produce a crop in the spring, another in late summer and until frost in the fall. All of the everbearing strawberries advertised in nursery catalogs originated in the northern states; therefore, they succeed best in those areas and are very poorly adapted to the mid-South. A few of the newest ‘day-neutral’ types of strawberries such as Tristar and Tribute can be grown in the higher elevations of western South Carolina for a spring and fall crop of berries. The distinctions between everbearing and day-neutral strawberry varieties have little practical meaning for our purposes- both types will produce two crops a year in the spring and fall. Some home gardeners are following the example of commercial growers who treat strawberries as annuals. Plants are installed in summer or early fall, usually with plastic mulch. They are not allowed to make offsets. After harvest the plants are removed and a new planting made. Benefits are healthier plants, fewer weeds and bigger fruit. Ornamental strawberry types suitable for full sun or light shade include selections with white and green leaves grown mainly as ground covers since they do not fruit well. ‘Pink Panda’, a hybrid between a strawberry and a potentilla, has typical strawberry foliage and an occasional tasty berry, but is grown primarily for the inch-wide pink flowers it bears from spring through fall. Strawberries are subject to many diseases: fruit rots (gray mold, anthracnose), leaf diseases (leaf spot, leaf scorch, leaf blight), crown diseases, root diseases (red stele, black rot) and viruses. Root weevils, aphids, mites, and slugs and snails are among potential pests. To help reduce problems, plant only certified disease-free plants. Also remove diseased foliage and ripe or rotten fruit. Replace plants with new ones as they begin to decline, usually after three years. For more information on diseases and pests of strawberries refer to HGIC 1405, Growing Strawberries. 1Adapted ares designations: M – Mountain; P – Piedmont; SR – Sandhills and Ridge; CP – Coastal Plain; ALL – adapted to all areas. 3Apolla should be planted with another variety to ensure fruit set. Other varities can be planted alone. 4Commercial variety grown as an annual on plastic in an “Annual Hill System” only.